Develop a good marketing strategy that will help you to meet your goals is not just for large companies. Each day there are more SMEs that they realize the importance of knowing the market, competition, and the place that occupies your business and your product. And right there is where comes in the marketing plan. From AlabazWeb Pro we can help you to establish your purposes and to find tools that will help you get the best results. It provides relevant data to know the real situation of the market and your company. It provides valuable information of the potential audience, which will help you to convert them into customers. Allows you to know your competitors, their products and, thus, to differentiate yourself, find your place and make your purposes. It helps you to know what will be the most effective strategies for your brand. You can plan in advance all the necessary actions to achieve your goals. It facilitates decision-making because you know where you want to get and what is the path. It allows you to manage and efficiently manage the resources of the company for the achievement of objectives. It promotes the measurement and evaluation of the results and avoids difficult to correct deviations occur. What is the marketing and the marketing mix? Marketing is the discipline that is in charge of studying the behavior of consumers and identify their needs to be able to offer products and services that meet their requirements, in Exchange for a benefit for the company. Marketing focuses on elements known as the 4P´s or marketing mix: product, price, distribution and communication (product, price, placement and promotion). The union of these elements make the marketing mix an indispensable tool so a company can achieve its objectives, obtaining maximum profits with minimum investment. But to be able to implement these concepts in relation to your company it is necessary to develop a marketing strategy where previously established plans of action that we want to develop in the company over the period of time. 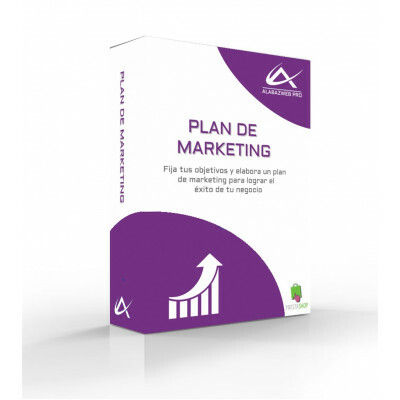 All strategic marketing plan should contain the following stages: market analysis, description of the objectives, strategies, marketing, evaluation and review. Market analysis: Know the location of your company in the market, especially with regard to your competitors, will help you to have a clearer picture of the status of your company and what you can improve. For this purpose it is recommended to perform a SWOT matrix. This study will show the strengths, weaknesses, threats and opportunities of your business. The political, economic and social situation in the sector your company belongs. The features of the competition. It is important to analyze what your competitors are doing well and what not. In this way it will be easier to know the position of your company. Objectives: Another important aspect of all marketing strategy is to define exactly what you want to achieve and when. To do so will have to define the goals in the short, medium and long term. Keep in mind that they must be realistic targets. It of no use to establish a purpose to accomplish in 3 months if we know that to achieve this it requires a year. Marketing strategies: In this phase will have to establish how to achieve the objectives above. It is important that first have the priority of each of them, starting with more general actions and that little by little we will adding others more specific. Good that it has been the preliminary analysis, there are many situations foreseen, so it will be necessary to take stock of the situation and check if its objectives are being met. In this way you will know if the established strategies are correct or if it is necessary to make any changes. If you want to help and advice to create your marketing plan get in touch with us and we work hand to see how little by little your dreams become real objectives.